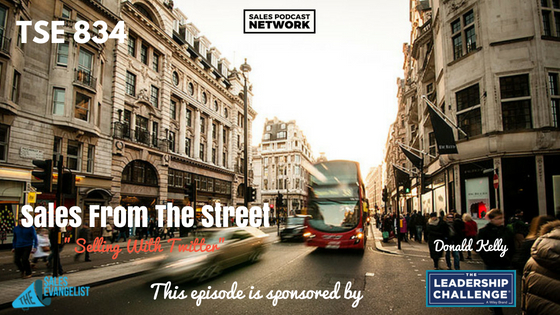 TSE 834: Sales From The Street: "Selling With Twitter"
One of the challenges sales professionals face when selling with Twitter is staying focused on the task at hand. There’s so much noise and there are so many distractions that it’s difficult to avoid falling into the entertainment trap of social media. On today’s episode of The Sales Evangelist, we talk to Michael Sardina about selling with Twitter, and the challenges he faced when he first started social selling. It’s difficult to stay focused on social media. 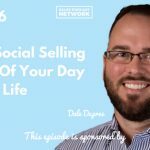 If people don’t guard against it, social selling gives them an excuse to spend an entire day on social media. Conversely, if you base all your social media activity on what’s good for your business, your social media will start working for you. Michael focused his communications on only those people who were related to his specific business needs. He started following people who were related to his specific business. When he discovered people in his industry that he thought might be interested in what he was doing, he started following them. He made a list of those people he was trying to target: project managers and leaders who might make good prospects someday. He started by noticing what his connections were already doing on social media. If they posted something, he made a point to like it or comment on it. If something relevant popped up in his feed, he either reached out via Twitter or direct message. Michael said he realizes now that most people think social selling is too salesy, but that’s largely because they’re doing it wrong. After Michael made a point to start noticing what people were doing on social media, he started getting messages from people asking how he could help them. He started responding to their messages and having conversations simply as a means to get to know people. That kind of engagement allowed him to get to know people in a way that didn’t revolve around sales. He called them lighter touches. Then, when it was actually time to promote something, people already knew him, so communication felt less salesy. It was easier to contact them because he had invested the time to connect with them outside of sales. Selling with Twitter was suddenly more natural. If you start helping people, they’ll respond to you and you can engage and have conversations with no expectations. 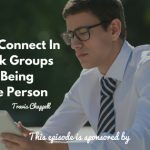 Identify people in your industry and follow the people you want to connect with on Twitter. Connect with Michael on Twitter at Michael Sardina and on LinkedIn.